With summer quickly approaching, it’s so important to pay attention to signs that your AC needs a maintenance call. Fortunately, many of these signs are “loud and clear,” so an issue shouldn’t go unnoticed for too long if you know what to look for. 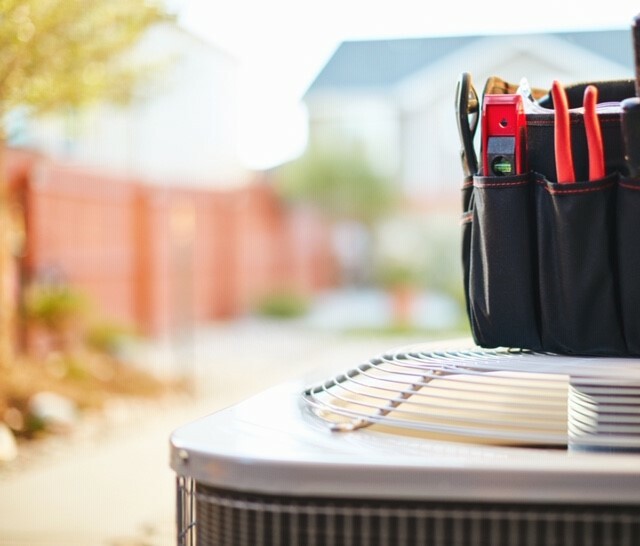 When it comes to AC maintenance, it is better to be proactive than reactive – find and fix the problem before it gets worse, or stops working completely – especially when a Florida heat wave is on the horizon! Here are some things to look out for which can indicate that it’s time to call for an AC checkup. No Cool Air: It can happen slowly, but you may start to realize your AC isn’t cooling as much as it used to. Even at full blast, the air coming from your vents isn’t as cold as it used to be or isn’t cold at all. This is usually an indication that your system’s compressor has failed or that the Freon levels are too low. Poor Air Flow: Weak air flow from the vents is another sign that AC maintenance is required. You may notice certain areas in your home are getting cold air while others are not, which is typically an indication there’s trouble with the ductwork. Over time, debris can get stuck in your AC vents. This not only obstructs airflow, but also presents a health risk to you and your family. Cleaning your AC ducts is a great way to restore airflow and ensure that your AC system is working properly, so if you have concerns about your air flow, it’s time to schedule a checkup. Problems with the Thermostat: Sometimes the problem with your AC is not with the actual unit but with the thermostat. If there is an issue with the thermostat, one part of your house may get much colder than another area. Another sign of a thermostat issue is when your HVAC is set for 70, but the temperature is off by around 10 degrees. Unexplained Moisture: If there’s moisture or leakage around or near your AC system, it’s an indicator of a bigger issue, which normally could be one of two things: In the most serious scenario, the leak could be refrigerant. If this is the case, your AC needs to be fixed immediately as refrigerant leaks can cause serious health risks. Another cause for additional moisture or even water pools is when the drain tube (the part that disposes condensation) is either blocked or broken. This is not as serious as a refrigerant leak, but it should be fixed in order to prevent mold growth or rust. Strange Sounds: Remember when we said, “loud and clear”? Well here you go! If you hear squealing, grating, or grinding sounds coming from your air conditioner, it’s a red flag that something is wrong inside the unit. A squealing noise usually means that the belt has slipped out of place or that a metal component in your AC requires lubrication. A grinding sound could mean the motor’s bearings are broken. Failure to service the unit immediately could result in a very pricy repair or complete replacement. At Northeast Florida Heating and Air, your Jacksonville AC maintenance experts, we maintain a large service department staffed with the best NATE – certified technicians in the industry. We stock many parts on our service trucks, and 24/7 emergency service is always available. For more information on our Jacksonville AC service or to schedule an appointment, please give us a call at (904) 201-3413.